Each year in the pre-yuletide season the MAXLRAIN brewmaster comes up with an extra special brew and delicacy, the production of which he keeps a personal eye on. A judicious blend of exquisite light and dark malt varieties imparts roundness to the MAXLRAIN FESTBIER with its unmistakable flavour and amber tone. 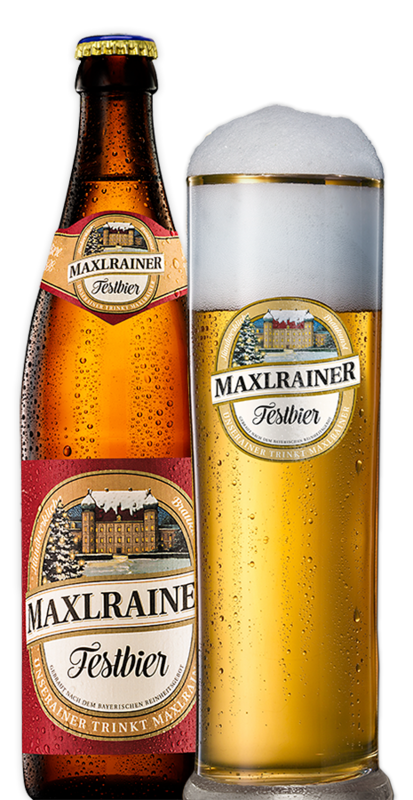 MAXLRAIN FESTBIER is a must for each and every festively decorated table, both in the catering branch and the snug atmosphere of Home Sweet Home.